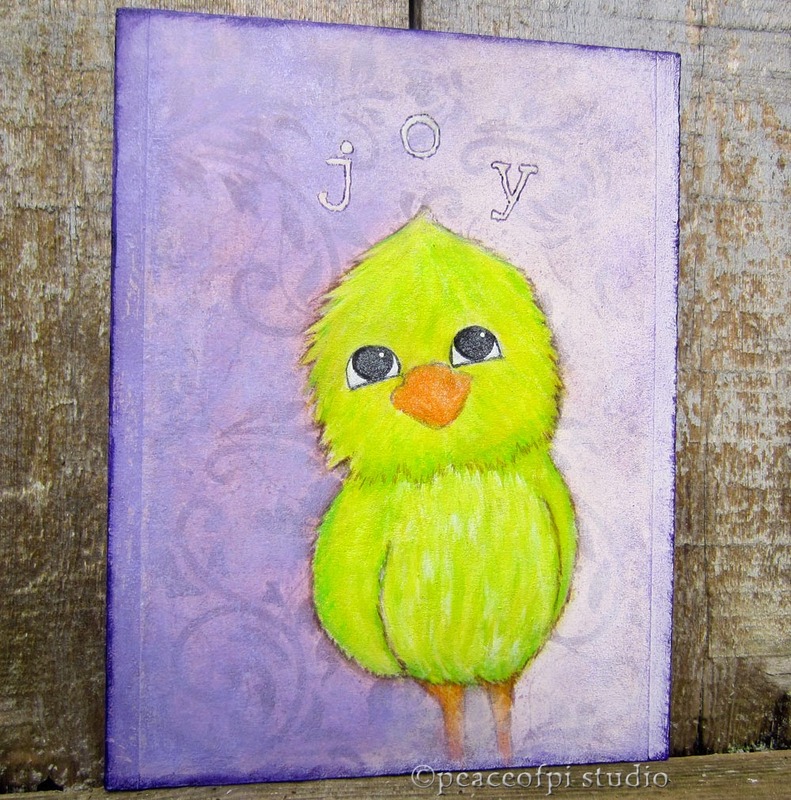 Joy Bird is a mixed media painting from the series a little bird told me. This baby bird is a parrot who can't help but exude joy. Creating the parrot painting involved combining paper, acrylic paint, colored pencil and wood. His feathers, in a bright lime green, are soft and downy. He's a baby bird full of joy.